Founded in 2009 by a group of highly skilled and passionate IT professionals, ATD Solution is dedicated in changing the way businesses use and adopt IT through our specialised services, which includes extensive IT architecture training, hands-on coaching and mentoring, consultancy services as well as organising industry events and campaigns for awareness. 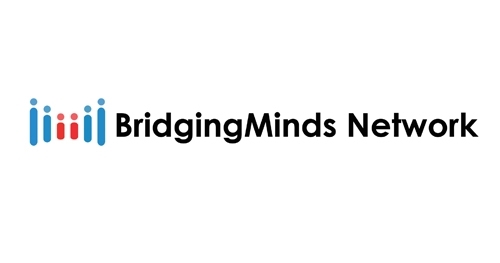 BridgingMinds was started in the year 2011 with a spotlight on the learning experience. They aim to bridge sectors and industries by providing comprehensive knowledge exchanges between business, operations challenges and technology. By bringing people together and create bridges that will enhance careers, innovations as well as increasing productivity and competitive edge of businesses. They have formed a consortium of consultants, professionals and industry experts in providing knowledge and services to enhance ICT adoption and innovation. Brainmates dream of a happy world with organisations filled with amazing Product Managers creating and rejuvenating products and services that their customers love. The two founding Brainmates Adrienne Tan and Nick Coster are the driving force behind this dream. The start of their magnanimous dream began by offering interim Product Management resources and training to medium and large organisations in 2004. Their next move was to establish a vibrant Australian Product Management community by curating regular talks and hosting Product Camps. They went on to create a practical Product Delivery framework enabling Product Leaders to optimise their Product Delivery processes across multiple industries including media, finance, medical devices and government. Natalie Yan-Chatonsky joined Adrienne and Nick in 2009 to help fulfil the Brainmates dream of building a happier world through Product Management, by adding her creative entrepreneurship, passion for customer-centred design thinking and love of connecting the dots between ideas, people and products. When they are not changing the world, one organisation at a time, Brainmates gallivant around the world sharing their though-leadership and stories about Product Management with Product professional audiences and executives on a regular basis. ePM Training Services is a leader in designing, developing and delivering high-impact training courses in project management, business analysis, leadership and communications. We are proud to be the course provider for many top global companies, and to help individuals through our public course offerings. Founded in 2008 by a group of dedicated professionals, each with over twenty years’ experience as top-level Project Managers, ePM Training Services has grown rapidly to service clients in many countries in Asia, Middle East and Australia. Our courses cover Project Management and Business Analysis – all the way from fundamentals to professional certification – and include the interpersonal skills necessary for working in today’s diverse project teams. FastLane was founded in 1996, in Dubai. They are an IT training company, that operates on a global basis, delivering training in 41 countries and 18 languages. FastLane Korea is partnering with Progreso Training, as an Authorised Training Centre and Authorised Courseware Centre for the Korea version. Established in 2006, they are the authorised Certified Training Center for Cisco, VMware, NetApp, F5 and Aruba and also a test center for VUE. FastLane Korea has developed a complete line of vendor independent Foundation Courses to prepare for the most advanced and hottest technologies. Their strictly managed programme guarantees that training with FastLane provides the highest level of educational quality. ISC is an Exemplar Global (formerly RABQSA International) certified training organisation. ISC offers an array of training programs that cover a wide range of management systems standards. ISC is committed to providing a comprehensive range of training solutions to deliver better learning outcomes worldwide. All courses are competency-based and these certified competencies are recognised globally resulting in greater distinction for your professional development. A new generation IT education provider for truly effective hands–on IT and management training. In a fast changing world, all organisations must focus every dollar on meeting critical initiatives to maximise business performance. InnoLearn believes in providing customised technology and management training curricula that enables our clients to maximise their IT investments and compete in a dynamic global business environment. They believe that workforce development and strategic investment in human capital will continue to set leading companies apart. InnoLearn offers a comprehensive curriculum of more than 50 courses on IT and Softskills Development programs. Their library includes Project Management, Softskills Management, Adobe, Software Engineering, and upcoming Cloud, Data Centre, IPv6 and Security programs. TRAINED over a total of 700 participants under the Pusat Internet 1Malaysia (PI1M) program. This is part of the Government’s initiative announced during the 2013 Budget to enable the lower-income group to access high-speed internet services as well as provide training in the field of ICT. More than 240 participants on IT programs such as Adobe Photoshop and Illustrator training. Mile2 designs, develops, and delivers cyber security certifications and provides Information Assurance services that meet military, government, private sector and institutional specifications. Mile2 courses and certifications teach the fundamental principles of cyber security and follow a certification track that leads to advanced hands-on skills training for penetration testing and network forensics. Over the course of a decade, Mile2 has developed a robust schedule of cyber security certifications for prominent global organizations.